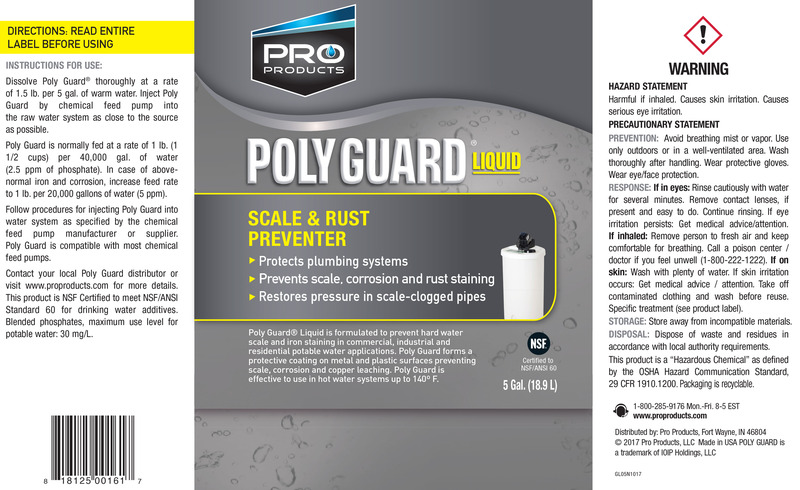 Pro Poly Guard Scale & Rust Preventer (Liquid) is specifically formulated to prevent hard water stains, including scale and iron staining in commercial, industrial and residential potable water applications. 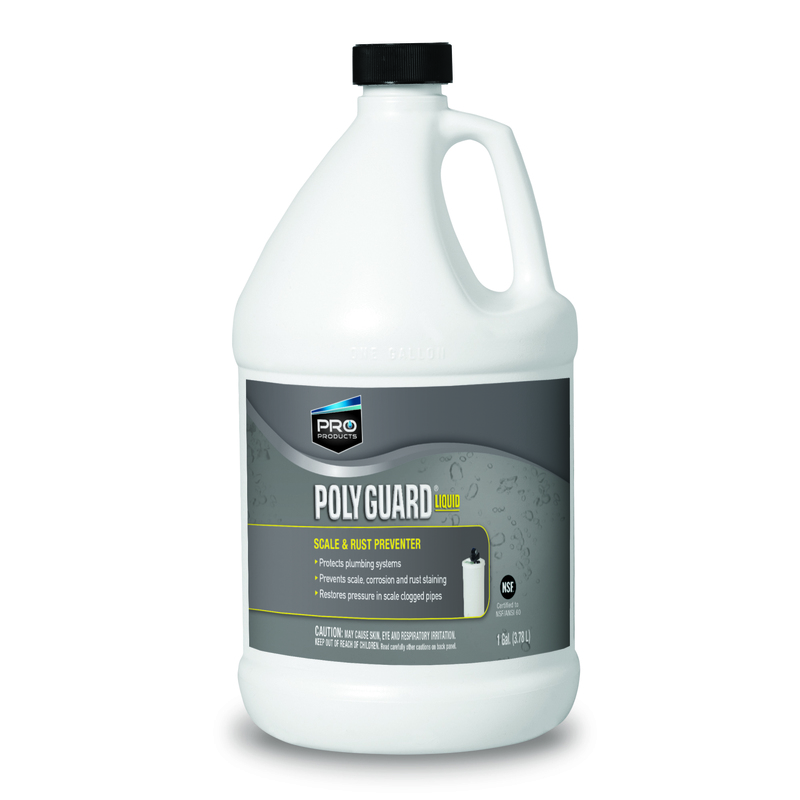 Poly Guard forms a protective coating on metal and plastic surfaces preventing hard water stains, scale, corrosion and copper leaching. As a bonus, Poly Guard also protects pumping pipes and fixtures from calcium and scale buildup. To eliminate hard water stains, simply inject Poly Guard by chemical feed pump into the raw water system as close to the source as possible. This product is NSF Certified to meet NSF/ANSI Standard 60 for drinking water additives. Available in 1 gal, 5 gal and 55 gal sizes. Corrosion Control: To get rid of iron and hard water staining, Poly Guard is applied through a chemical feed pump downline from the well pump. 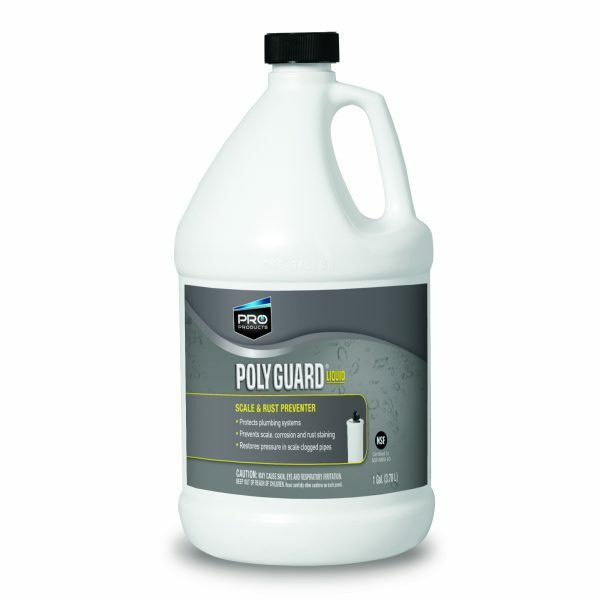 Poly Guard is normally fed at a rate of 1 gallon per 200,000 gallons of water. The feed rate should increase to 1 gallon per 100,000 gallons in above normal iron and corrosion water supplies. Follow the procedure for injecting Poly Guard solution into the water system as specified by the chemical feed pump manufacturer or supplier. For best results, use dosage calculator to determine the correct dosage for your use.